Hyacinth Macaws have one of the most powerful beaks of any bird that one is likely to encounter. It has been stated that a mature adult can have up to 3500# per square inch mandible pressure, which they use for cracking nuts that we would need a vise or hammer to open. 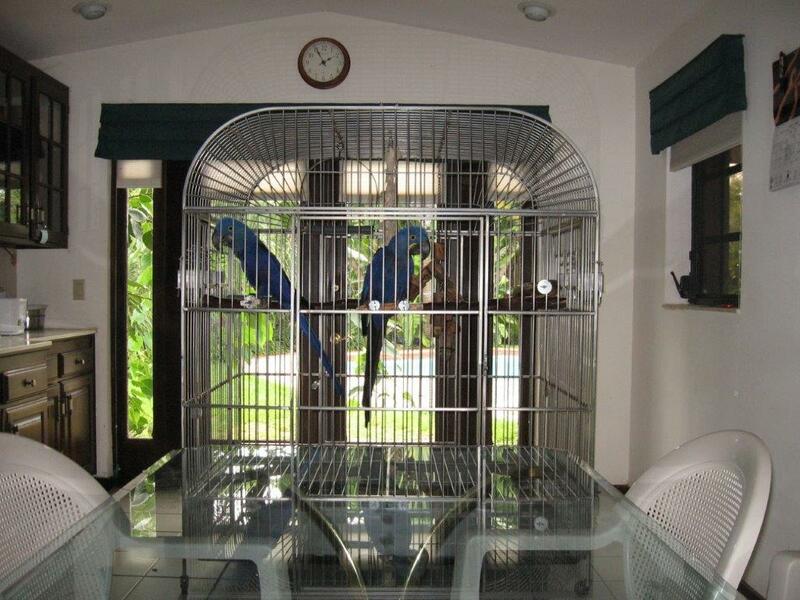 For this reason, cage construction must be of the highest quality and strength to deter damage or escape. Toys and feeding utensils must also be the same to avoid injury. The smallest piece of metal ingested by a Hyacinth Macaw can result in terminal illness. Our indoor holding cages are heavy duty stainless steel. Our outdoor breeder cages and play areas are minimum 8ga 1” x 3” galvanized after weld wire with a ½”x3” wire and mosquito screen enclosure spaced at least 4” from the cage. 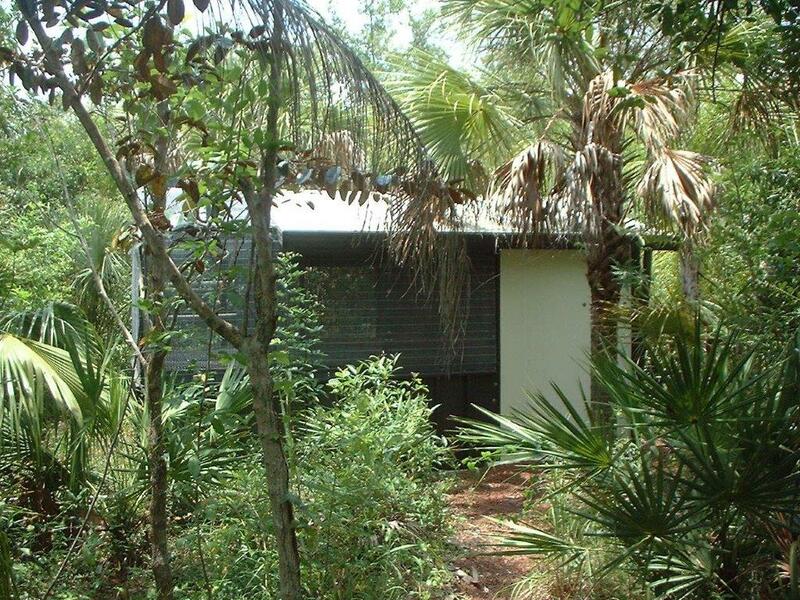 This helps prevent insects and rodents from being a nuisance. 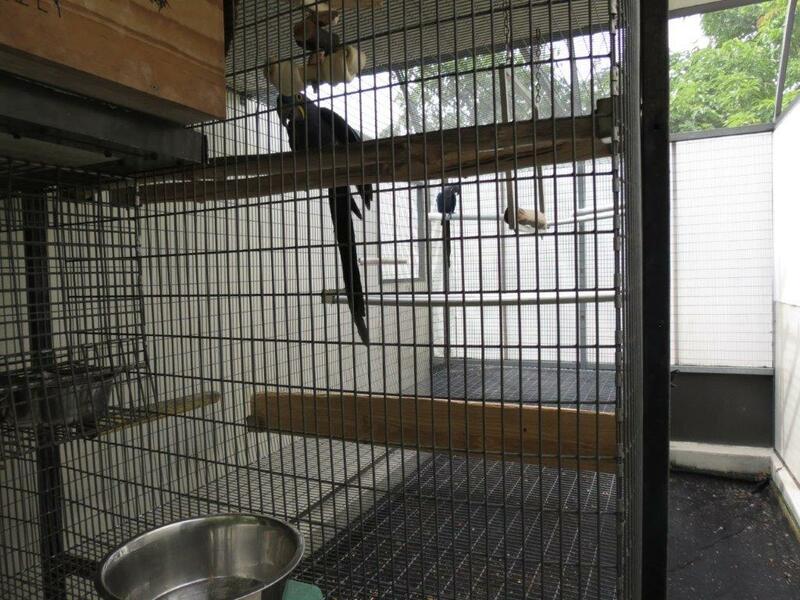 An indoor area is attached to the enclosure allowing the birds to go in and out of the weather at will. All wire must be thoroughly inspected for rough areas or loose pieces. Any such areas should be wire brushed or sanded for removal. All welded wire MUST be thoroughly scrubbed several times with vinegar and rinsed. It should be inspected after several days to insure that no zinc oxidation powder forms on the wire which can be toxic to the birds. If oxidation is present, then the process should be repeated until it no longer appears. Do not put any birds in the cage until this process is complete. Clips or hog rings should be placed on outside corners only. Inside corners need to be bent instead of fastened. Our breeder cages average 6’ x 6’ x 18’. Any attachments should be through bolted with stainless steel nuts, bolts, and washers. Our daytime play areas average 12’ x 10’ x 24’. Hyacinth Macaws are large birds and should be allowed a large space to spend their time. We normally bring our juveniles in at night, where they eat and sleep in their smaller stainless steel cages. Our weaning babies are in smaller cages when they are not in their play area, which helps to promote better eating habits. Any toys, perches, swings, etc. must be constructed and attached in such a way that the birds are not able to ingest small parts from them or remove them. Hyacinth Macaws have an uncanny ability to be destructive and mischievous. Care must also be taken to insure that they cannot become entangled in any toy when left unsupervised. Food and water bowls must be easily accessed and preferably located in front of the Macaws favorite perching area during any transition period. Perches should vary in size and be no smaller than 1 ½” in diameter. They should be a non-toxic hardwood for longevity. Softer wood toys should be supplied in abundance since these birds love to chew. Manufactured stainless steel cages should be welded and not designed for easy assembly or disassembly. Do not be surprised if the Hyacinth Macaw breaks welds or bends metal bars. 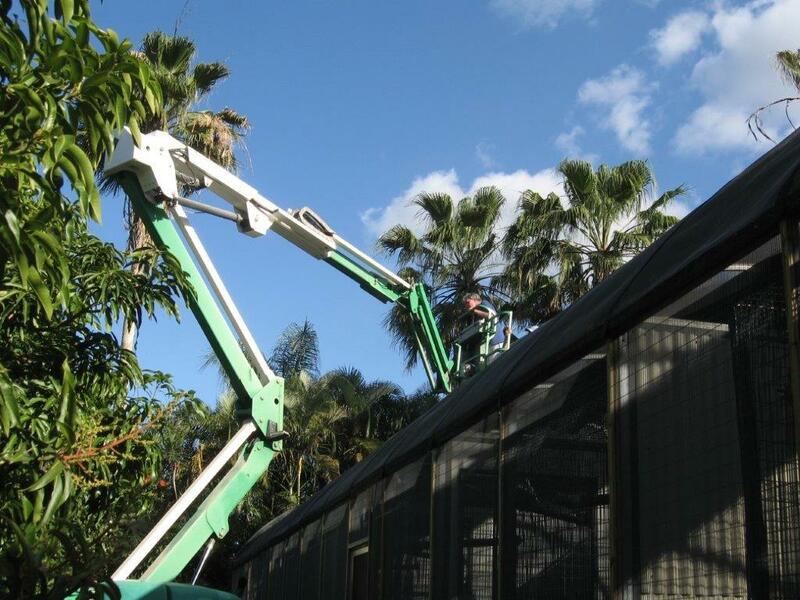 Inspect cages often and be prepared to make any necessary repairs at the first sign of occurrence.